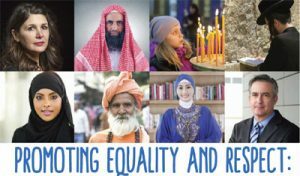 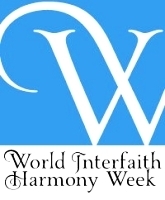 The Interfaith Centre of Melbourne invites you to Interfaith Service for UN World Interfaith Harmony Week 2017, Love of God and Love of the Neighbour at Toorak Uniting Church on Sunday 12 February 2017. 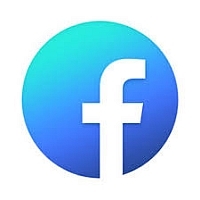 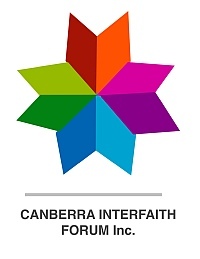 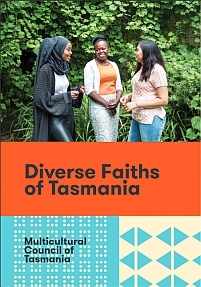 The Interfaith Centre of Melbourne will hold an Interfaith interspiritual inclusive service in celebration of the UN World Interfaith Harmony Week, Love of God and Love of the Neighbour. 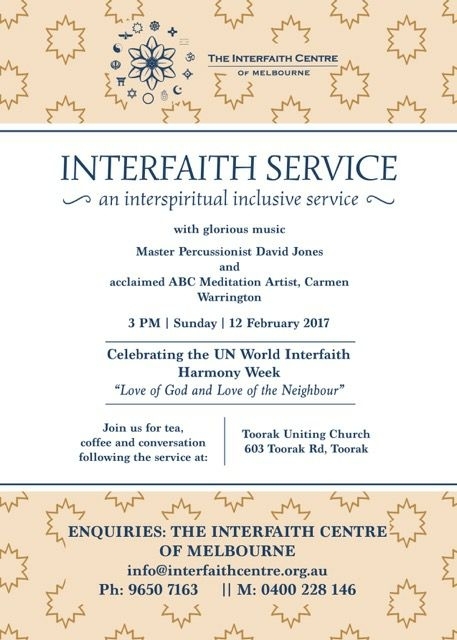 Glorious music will be performed by Master Percussionist David Jones and acclaimed ABC Meditation Artist Carmen Warrington. 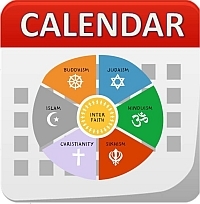 All are welcome for tea, coffee and conversation following the Service.